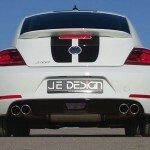 Leingarten tuning specialist JE Design has released a range of options for the 2012 Volkswagen Beetle. 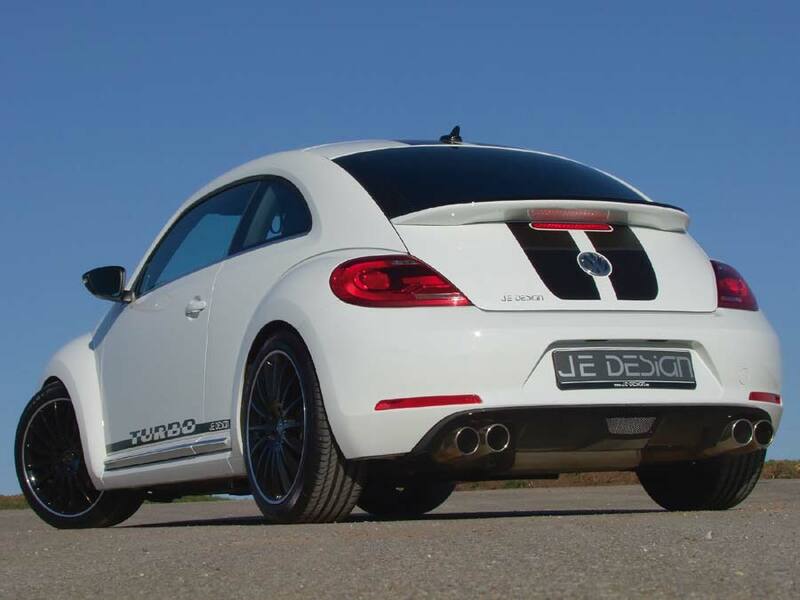 Visually, the Beetle receives a rear bumper diffuser insert for € 476, which features openings for the twin double 90 mm tailpipes attached to JE Design’s € 952 rear silencer. 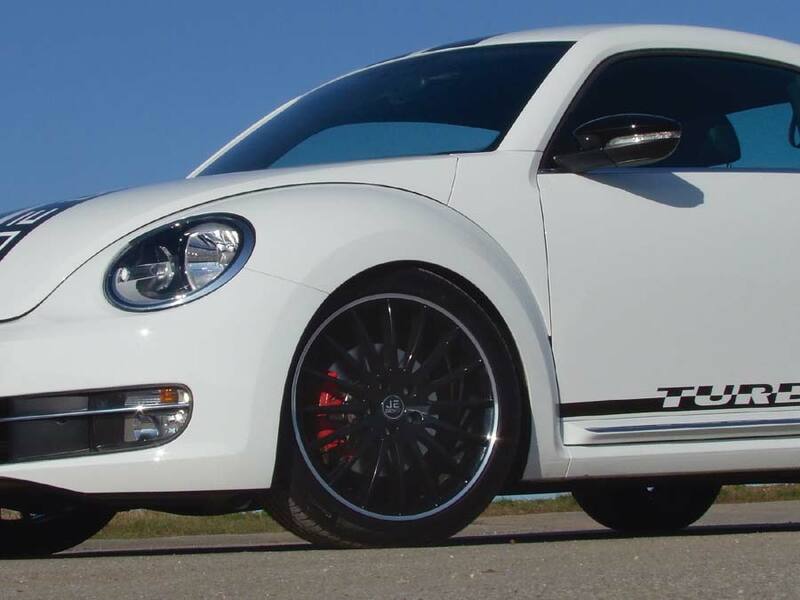 The sixteen-spoke alloy wheels are sized 8 x 19-inches and available in four different finishes: matt black or matt graphite with a matt silver lip, shadow silver, or high-gloss black with a shiny silver lip and start at € 2,810 a set. 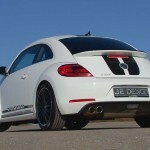 The € 219 spring kit drops the Bug by around 35 mm. 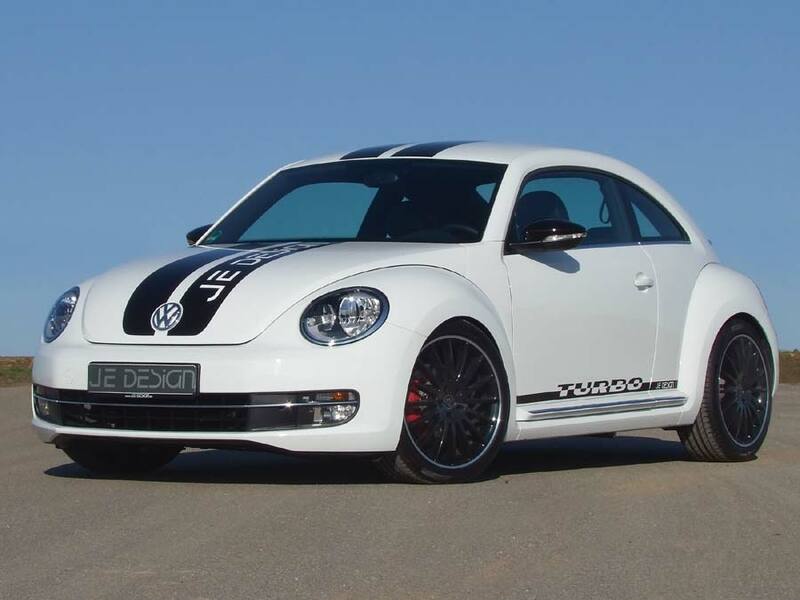 An engine upgrade is also available for the Beetle Sport’s 2.0 TFSI powerplant. 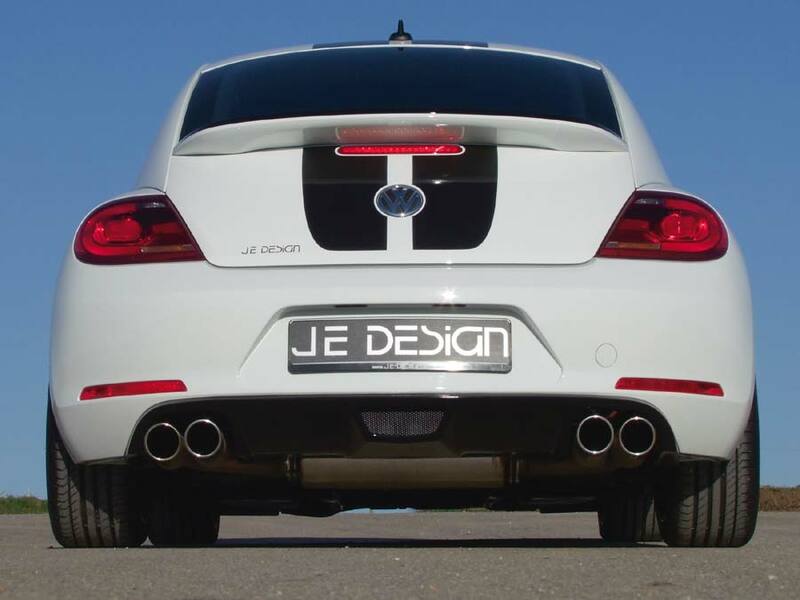 Developing 147 kW (200 hp) and 280 Nm (207 lb/ft) in standard form, JE installs its additional control unit, which results in 176 kW (240 hp) and 310 Nm (229 lb/ft), enough to cut the 0-100 km/h (62 mph) time from 7.5 seconds to 6.9 s and increase top speed from 223 km/h (138 mph) to 230 km/h (143 mph). That particular conversion will set you back € 1,280.